We are the leading name in the market engaged in offering a wide assortment of Aerial Bunched Cable Accessories. These accessories offered by us are manufactured at vendors end with the help of excellent quality material and latest technology. Along with this, these accessories ranges are broadly known for its durability in the market.The offered items are checked before final delivery on various parameters in order to ensure its flawlessness. We are a trusted organization of this domain in offering a wide gamut of Cable Tray to our valued customers. Apart from this, the offered products are highly demanded by power plants, engineering, construction and many other industries like food industries and pharmaceutical industries. Also, our trays are known for their various features like corrosion resistance, durability, and reliable performance. 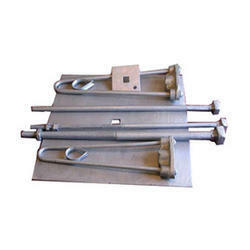 Since the inception of our firm, we are offering a quality assured array of Dead End Clamp. 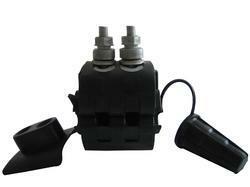 The provided clumps are used in electrical and construction sectors. Additionally, these clamps are offered in standard lengths and thickness and can be customized as per the requirement. 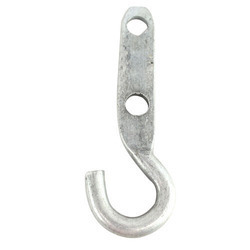 We hold expertise in offering the wide gamut of I-Hook in the industry. The offered products can be made using quality tested aluminum as per the customer's needs. Aiming to attain client's satisfaction, these are available in various sizes and used in the number of pallets, mechanical devices, and huge boxes. We present our clients Suspension Clamp, which are technically superior and provide better insulation. 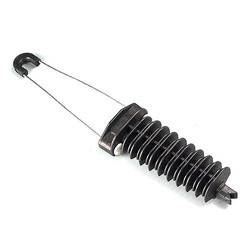 These Suspension Clamps are easy to operate and are made using premium quality materials. Our clients can avail this from us at competitive prices. The Clamps are used on every pole for hanging the cables. Danger Plate offered feature precision construction standards and are of superior quality that provides in these longer service life standards. Finding application in power sector, these are used for providing the visual warning to the people of high voltage current passing through the lines. 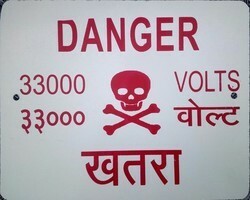 Made available with bold signs and printed letters, the warning is highly visible even from long distances. We can also customize these in customized finish specifications. From the wide range of our products, we offer the best possible quality Insulating Piercing Connector. High-grade stainless steel sourced from genuine vendors has been used for the production of Insulation Piercing Connectors. These are available in various widths, thickness and are available in the wide-ranging material. These Insulation Piercing Connectors have flexible circular surface and are secure and safe to use. We are providing a wide range of Anchor Clamps. The provided accessories are used in electrical and construction sectors. These clamps are designed at our ultra-modern manufacturing unit using the superb quality material and progressive technology in conformity with defined quality standards. Being a quality-oriented organization, we assure our clients that these clamps are excellent on counts of durability and quality. Leveraging on our industrious workforce; we are offering Stay Set to the customers. This Stay Set Assembly is manufactured by our talented experts in intricate designs, has an unmatched finish, longer working life, could be easily maintained, high tensile strength and made by using the premium quality material as per the international standards. 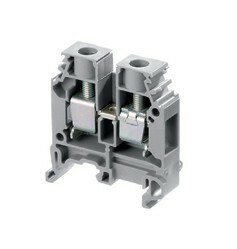 Meanwhile, this Stay Set Assembly is offered to the customers at cost-effective prices.